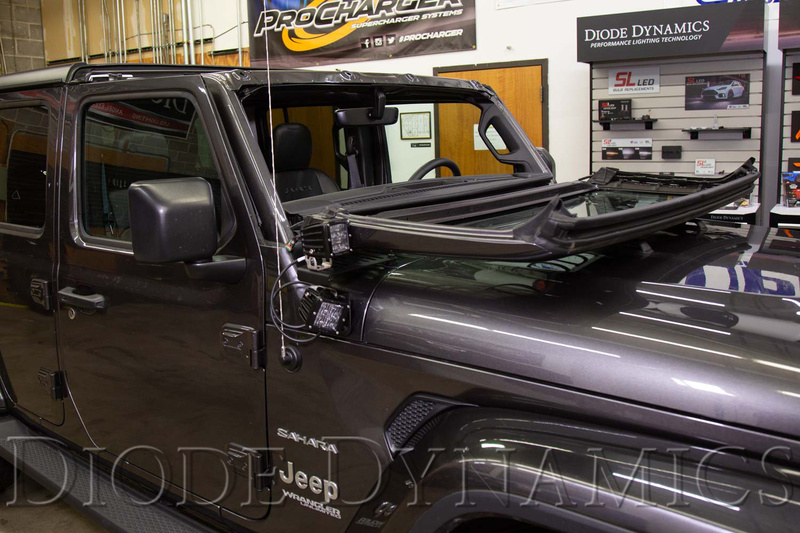 Wrangler JL Forum > Vendors > Diode Dynamics, LLC > NEW! 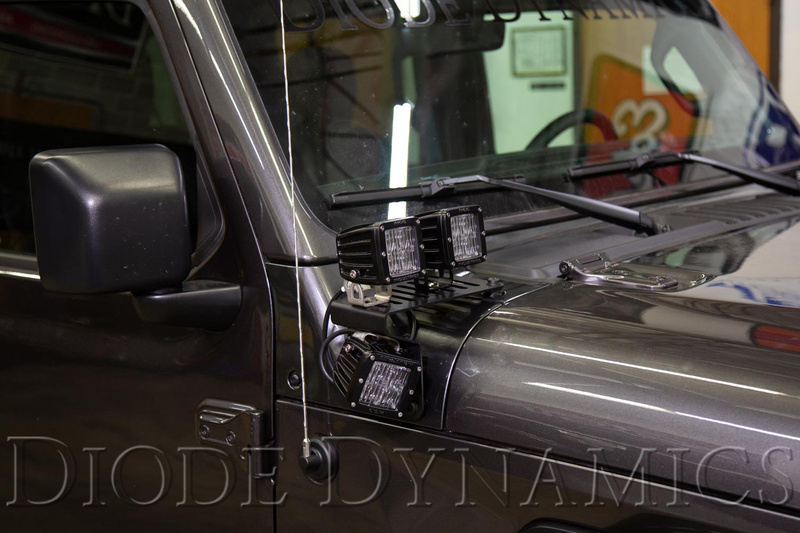 Cowl Mount LED Brackets for 2018-2019 JL Wrangler! NEW! 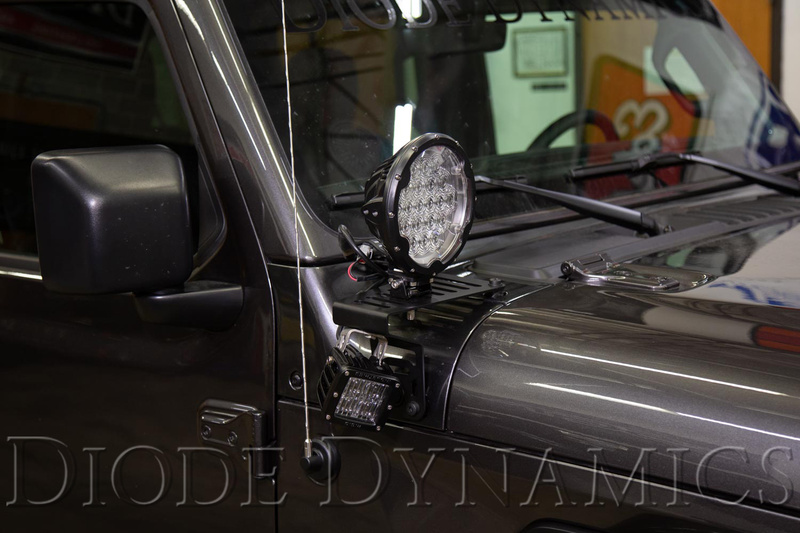 Cowl Mount LED Brackets for 2018-2019 JL Wrangler! 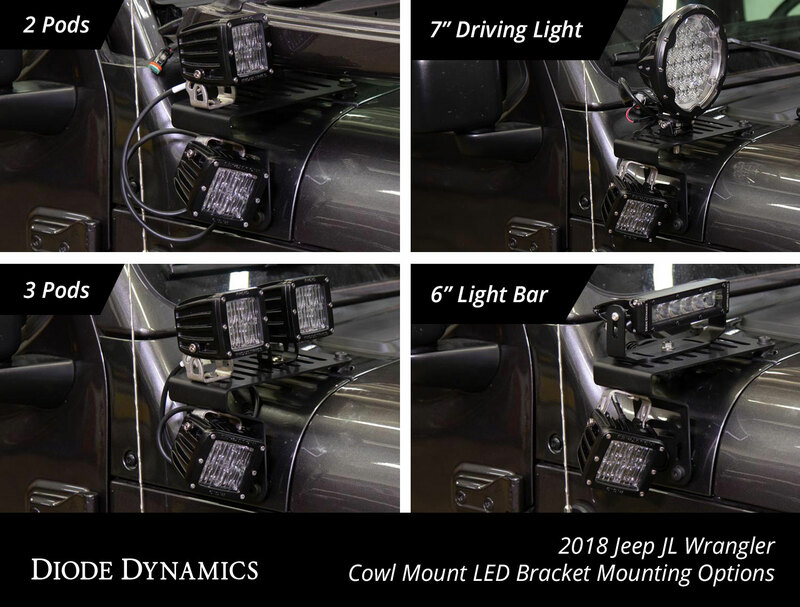 Diode Dynamics is excited to announce our new Cowl Mount LED Brackets for the 2018-2019 Jeep JL Wrangler! 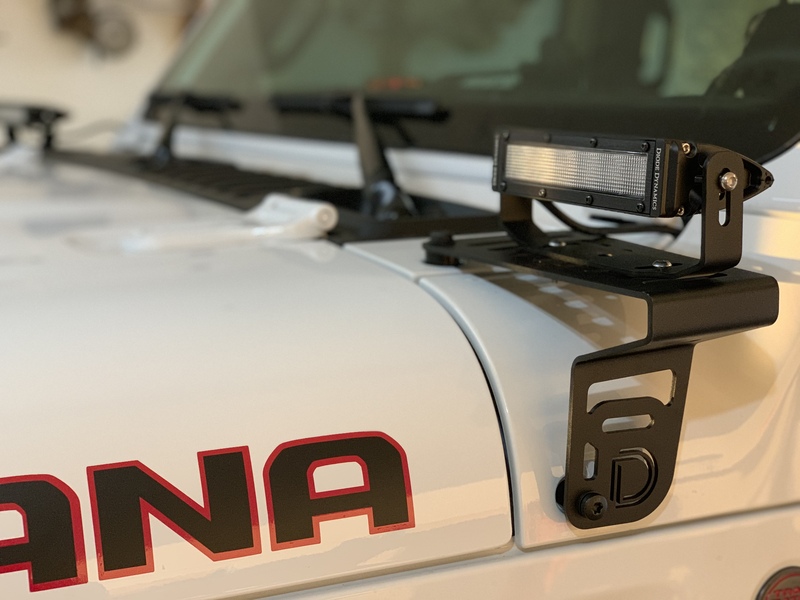 Available as a complete light bar kit or as a standalone item, these steel powdercoated brackets bolt onto factory mounting points on the 2018-2019 JL Wrangler's cowl using automotive grade, OEM style hardware. No cutting or drilling required! 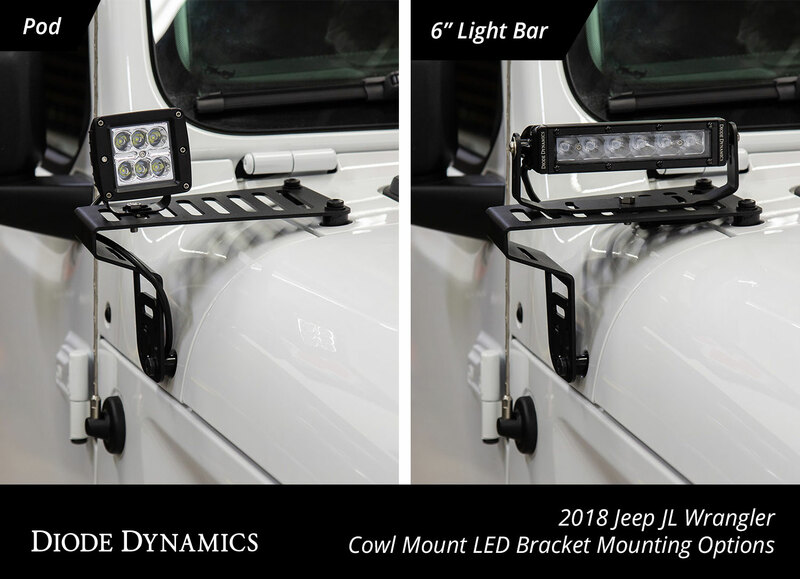 The highly versatile design of our Cowl Mount LED Brackets allows you to easily mount just about any auxiliary lighting you can think of to your JL! 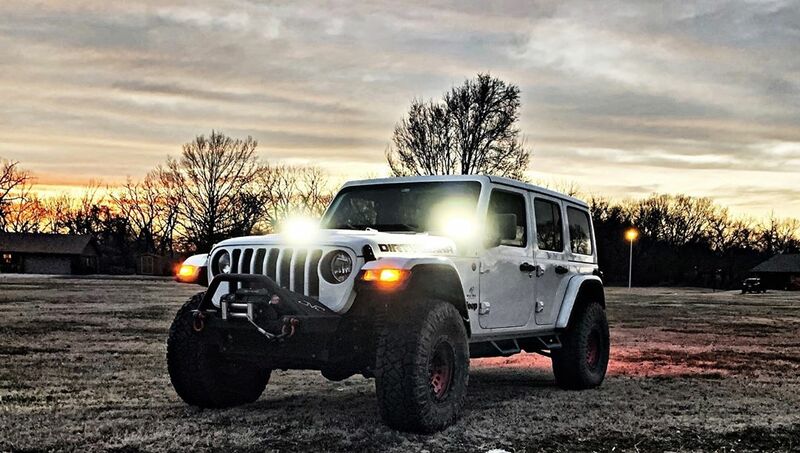 Including but not limited to: LED light bars, as well as ditch, cube, or driving lights, and more! -CAD-designed for perfect fitment on 2018-2019 Jeep JL Wrangler. -Features multiple mounting points for endless mounting options. 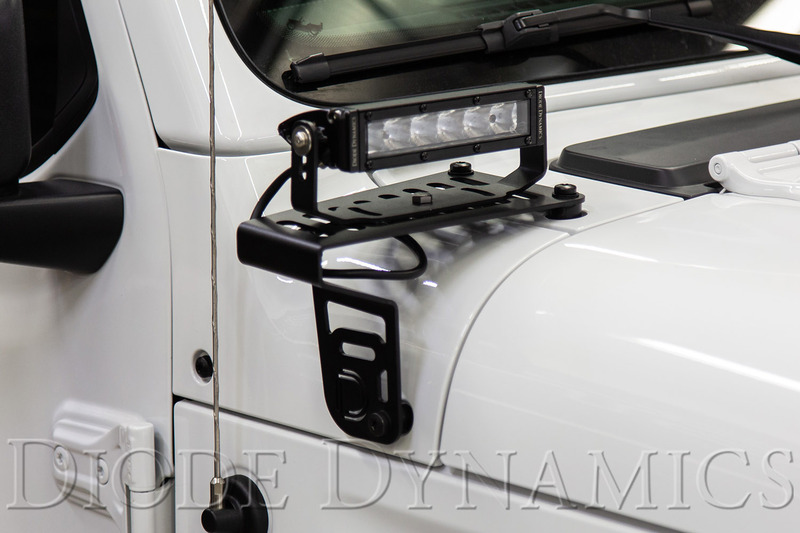 -Compatible with any pod, worklight, or small LED light bar. 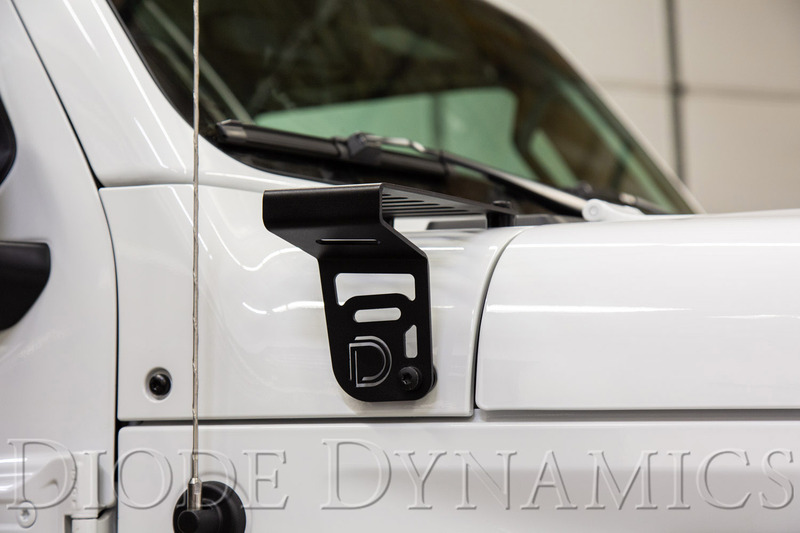 -When a set of standard pods is mounted on the outer slot, customers can still fold down the windshield. 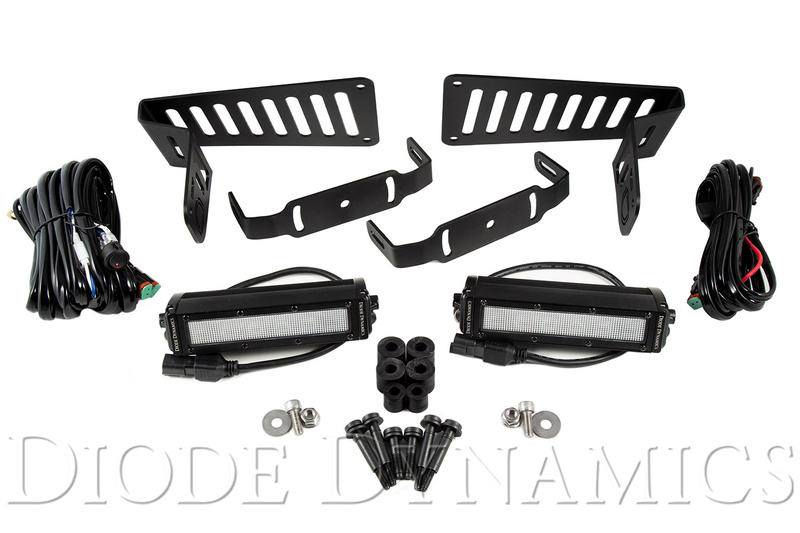 -Includes OEM-style automotive grade hardware designed specifically for this kit. -Utilizes existing mounting points for easy installation - no cutting or drilling required. -Highly durable powdercoated steel construction. 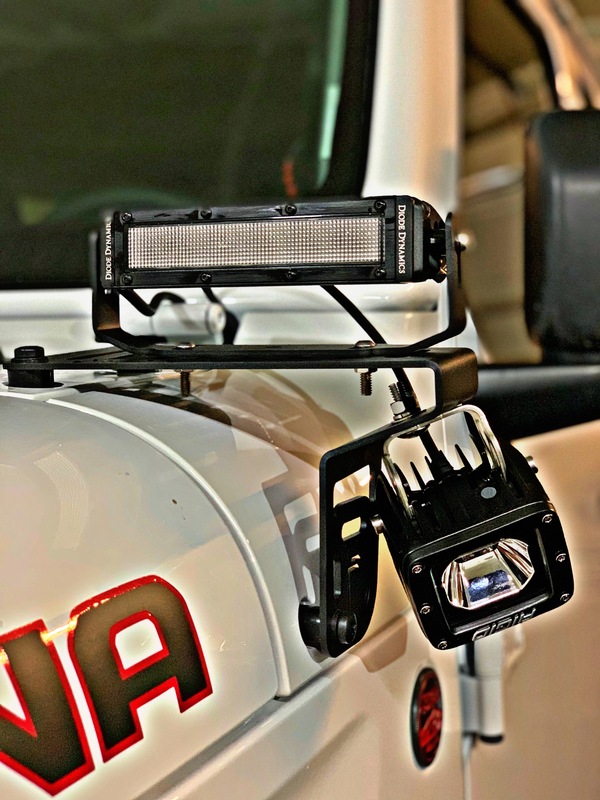 The full LED light bar kit features two SS6 Stage Series LED Light Bars in either white or amber, with a driving or flood optic, two U-brackets to mount them to the bracket, and hardware for install. Wiring is simple and straightforward, thanks to the included OEM Auxiliary Switch Dual-Output Wiring Harness. 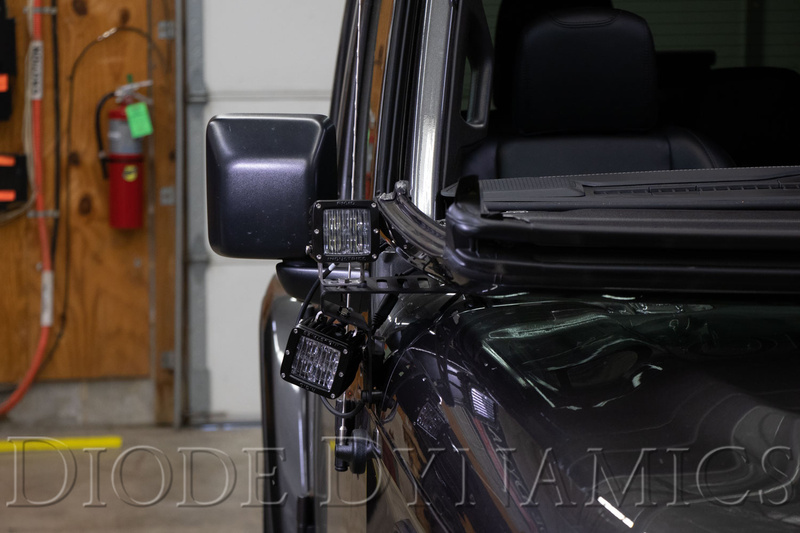 This harness allows you to control your auxiliary lighting using the factory-installed aux switch bank. For 2018-2019 JL Wranglers without the aux switch bank, our Heavy Duty Dual-Output Wiring Harness is also included to mount a switch and connect directly to your Jeep’s battery. 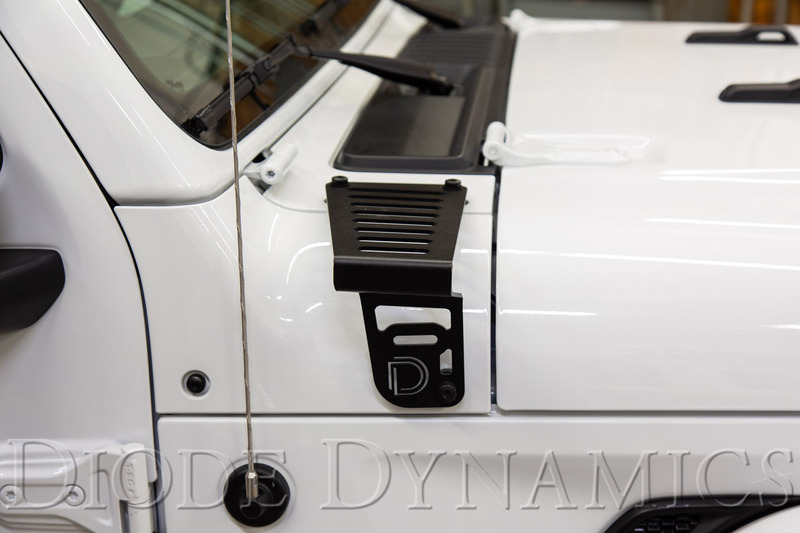 Like all Diode Dynamics lighting upgrades, we proudly engineered these Cowl Mount LED Brackets right here St. Louis, Missouri. Want to see what else is available for your 2018-2019 Jeep JL Wrangler? Click here! Last edited by Diode Dynamics; 03-12-2019 at 11:49 AM.